My son had double hernia surgery when he was two months old. But that didn’t stop the spitting up. First I couldn’t bear to let him cry because I knew what it did to his hernias, and then to his incisions. And then, crying just exacerbated his indigestion. 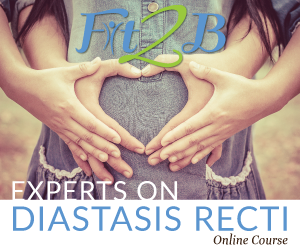 We finally concluded that it was diet-induced reflux issues. And changing my diet helped to some extent. 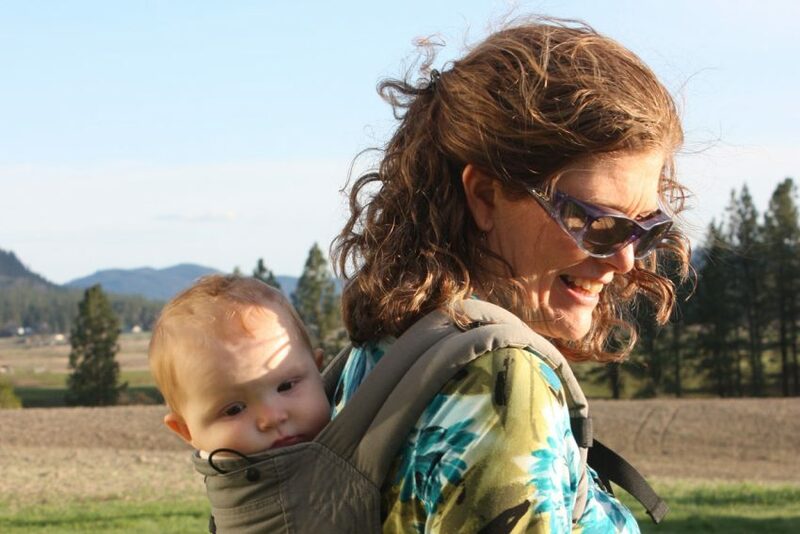 But the only thing that really kept him from crying and spitting too much–and thus kept me sane–was babywearing. 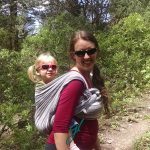 I didn’t expect to fall in love with babywearing. 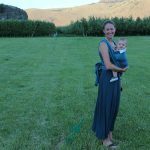 But the shoulder and wrist issues I’d dealt with juggling my first two babies made me consider babywearing as a healthier alternative for my body. And my son’s hernias pushed me to study more ergonomically safe carriers and carrying positions for his little body. 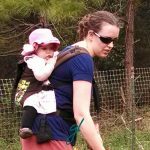 I quickly discovered that babywearing was not only fun, but addicting (is there a babywearers anonymous for those who have too many baby carriers?). 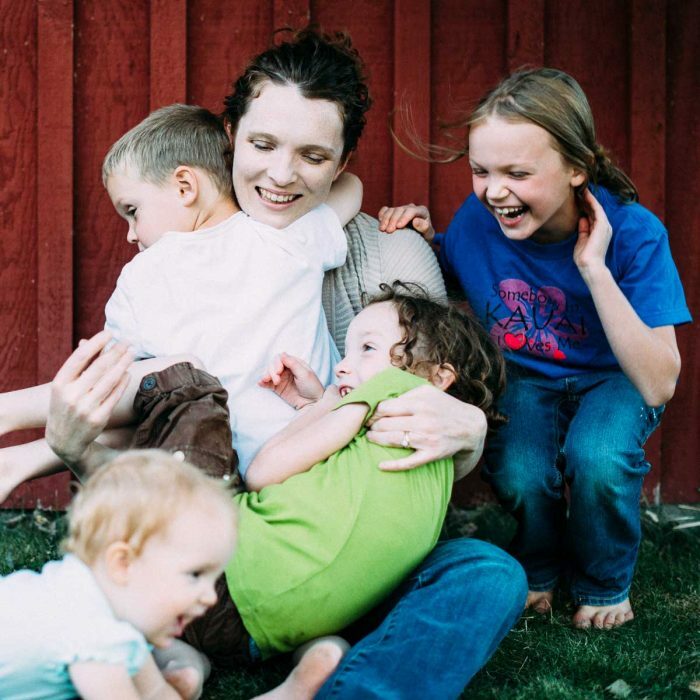 Babywearing has become part of some of my most precious memories of mothering my babies. 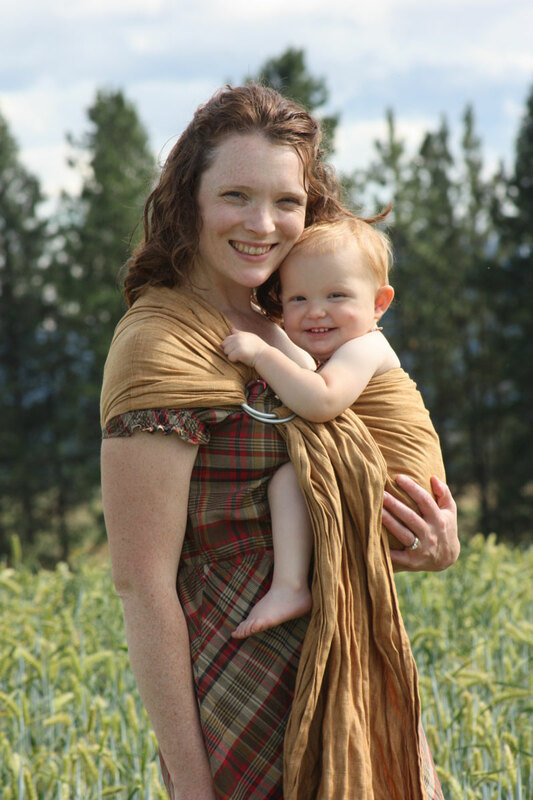 Babywearing replicates the sounds and feelings of the womb. Babywearing allows my hands to be free while I soothe and snuggle my baby. Babywearing helps ensure my child’s safety. 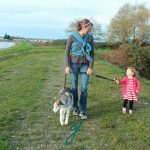 Babywearing eases digestive issues by keeping baby upright after a meal. Babywearing takes the strain off my back and arms. Babywearing lets baby be part of the action. Babywearing allows for extra bonding time. There’s nothing more precious than watching a daddy with his baby. 9. All the feel good hormones. Research indicates that babywearing increases oxytocin and prolactin. 10. Close enough to kiss. 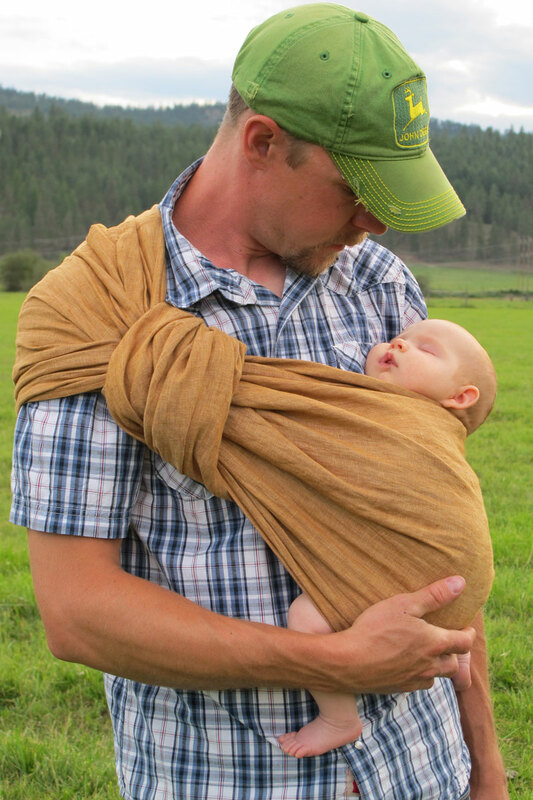 Babywearing keeps your little one snuggled close. Babywearing my son out of necessity made me fall in love with babywearing as an indulgence. Four years later, I was expecting his baby sister, and I couldn’t wait to start babywearing again. Now my littlest one is growing up so fast. I know our babywearing days together are numbered. I’m beginning to think about which carriers I’ll pass on to a family member and which ones I’ll resell (that was the logic in purchasing them, right?). But I know I’m not going to be able to part with all my favorite baby carriers. After all, I want to have something on hand to wear my nieces and nephews. And before long, my dollywearing daughters will grow up to be mommas, and Lord willing, I’ll be the babywearing grandma my mom gets to be right now. 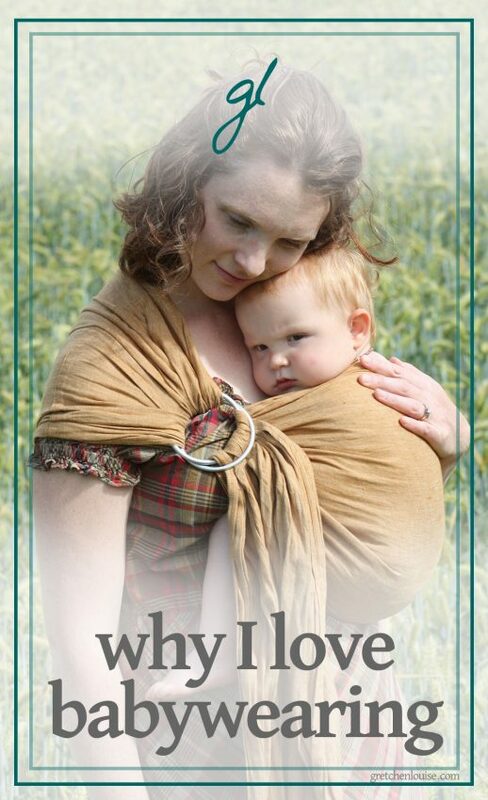 What do you love most about babywearing? I’d love to hear. Oh, I love the kisses and the addictiveness of babysmell right where I can smell it best. It’s the cuddles and the smiles and the little body around mine. My youngest is getting too big for it now, though. He still fits but he is not a fan of being strapped to me, he wants adventures! I’m so sad, I wish I could handle another baby right now! Yes! I have had issues in my low back from carrying a baby on one hip too long when I forgot to wear them! My chiropractor told me to mak sure to use the carrier not just my hip! Kind of sad that Grace is getting too big to wear much anymore. She is my most independent!